Trying to find discounted ostomy supplies in Canada? You might want to look across the southern border to Utah! All the ostomy brands along with the new and exciting ostomy product innovations shipped right to your doorstep -- saving your money every time you order! We've been doing it for decades here in the United States and have had an increase in people from Canada wanting us to ship supplies direct to them. The details are unknown as to why they prefer this method of getting their ostomy supplies, but it's happening and may perhaps be an indicator of what some people experience under a more regulated healthcare environment. 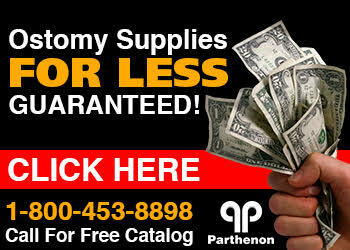 Parthenon can provide you with any product from ConvaTec, Hollister, Coloplast, Nu-Hope and more for LESS. We will ship it to you via USPS, UPS, or FedEx. Do you want to buy one of the great new accessories from Coloplast's Brava line? We've got them! How about their new SenSura Mio colostomy pouch? No problem. Maybe there is a type of pouch that they just don't have available in Canada or the retail price is astronomical. Parthenon will save you money! We can get your ostomy supplies to you know matter what province you live in... British Columbia, Québec, Nova Scotia, Ontario, Alberta, Saskatchewan no problem. Try us and save money today!